TUESDAY, April 25, 2017 (HealthDay News) -- The U.S. Food and Drug Administration on Tuesday posted warning letters to 14 companies that are selling more than 65 fake cancer treatments. The bogus products include pills, capsules, powders, creams, teas, oils and treatment and diagnostic kits. They're most commonly marketed and sold without FDA approval on websites and social media platforms, the FDA announcement of its action said. The treatments are frequently advertised as "natural" and often falsely labeled as dietary supplements, the agency added. "Consumers should not use these or similar unproven products because they may be unsafe and could prevent a person from seeking an appropriate and potentially lifesaving cancer diagnosis or treatment," said Douglas Stearn. He is director of the Office of Enforcement and Import Operations in the FDA's Office of Regulatory Affairs. "We encourage people to remain vigilant whether online or in a store, and avoid purchasing products marketed to treat cancer without any proof they will work," he said in an FDA news release. Nicole Kornspan is a consumer safety officer at the FDA. "Anyone who suffers from cancer, or knows someone who does, understands the fear and desperation that can set in. There can be a great temptation to jump at anything that appears to offer a chance for a cure," she said in a second agency news release Tuesday. 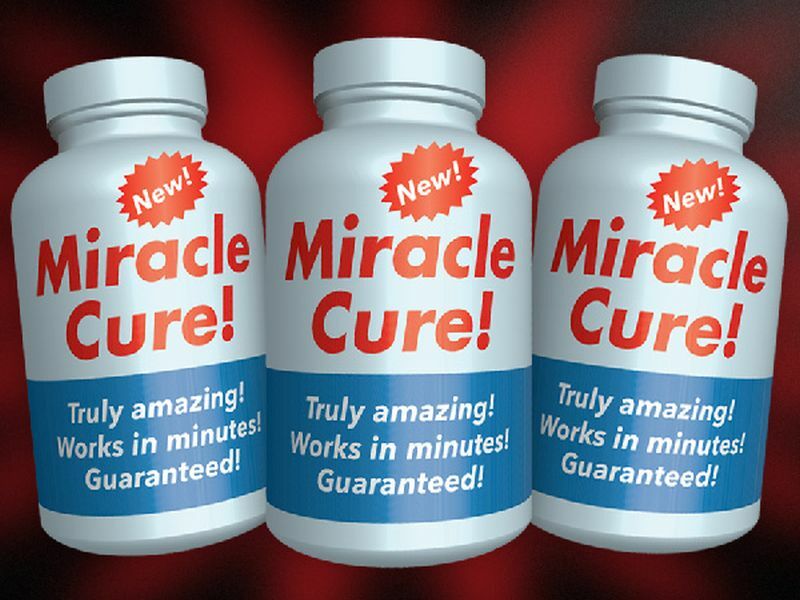 Consumers should be wary of certain phrases often used in the marketing of these treatments: "treats all forms of cancer," "miraculously kills cancer cells and tumors," "shrinks malignant tumors," "selectively kills cancer cells," "more effective than chemotherapy," "attacks cancer cells, leaving healthy cells intact," and "cures cancer." The FDA advises patients to always discuss cancer treatment options, including experimental drugs, with a licensed health care provider. "There are legal ways for patients to access investigational drugs, for example, taking part in clinical trials," Kornspan said. Information can be found at the U.S. National Cancer Institute's clinical trials website. Unproven cancer treatments for pets are also common, according to the FDA. "Increasingly, bogus remedies claiming to cure cancer in cats and dogs are showing up online. People who cannot afford to spend large sums at the animal hospital to treat cancer in their beloved dogs and cats are searching for less expensive remedies," Kornspan said. The FDA has issued more than 90 warning letters in the past 10 years to companies marketing hundreds of fraudulent products making cancer claims on websites, social media and in stores, the news release noted.